Getting the right amount of beauty sleep can certainly have a positive impact on your health, more importantly, the skin on your face. When you are starting to notice more in the way of fine lines and wrinkles around the eyes, cheeks, forehead, and mouth, it might be time to start taking beauty sleep more seriously. There are in fact a few simple ways that you can slow down the signs of aging overnight, despite the fact that sleeping actually causes those wrinkles. When your face is coming in contact with the pillow or mattress all night, it can lead to the creation of fine lines on your cheeks and forehead. Sleeping on your stomach or side can increase pressure against collagen and help it to break it down more easily. Those new fine lines are caused when the loss of collagen reduces the skin volume. Simple fix, start sleeping on your back more often. Without that constant pressure on your face, you reduce the chances of that pressure producing unwanted sleep lines. Sleeping on your back might be uncomfortable for some at first, just practice sleeping this way until it becomes habit. There are a number of special pillows that are designed to cradle the head in a way that will reduce the likelihood you roll on your side or stomach in the middle of the night. Being able to force the body to stay in that position at night will go a long way in reducing wrinkles while you sleep and help to turn back the hands of time for a while. A special night pillow will also reduce the contact of material to skin on the face, allowing your skin to breathe while you rest. The pillows that you are handed while on long airplane flights are designed to support the neck and keep your head still. These also work great in helping you stay on your back when sleeping at night in your own bed. No matter how hard you try, sleeping on your back just isn’t cutting it. As much as you want to reduce the development of those wrinkles on your face, it is causing troubles with your breathing at night when lying on your back. Simple solution, upgrade your pillowcase instead. Although most of the wrinkles are caused by the pillowcase, it might be time to upgrade from a cotton case to one made of satin or silk. With the satin or silk pillowcase, your skin glides over the surface, which in turn creates less traction and less of a chance of developing wrinkles. A silk pillowcase doesn’t cost a fortune, it only takes more time to get used to the feeling compared to cotton. The difference between a night cream and normal moisturizer is that this product is extremely thick and would be impossible to wear while outside the house. Wearing a night cream that contains hyaluronic acid helps to plump up and firm your skin. If you prefer an all-natural approach, take a page from Kate Hudson’s sleep tips and use coconut oil instead. This safe alternative to many toxic moisturizers will help smooth your skin after only a few uses. 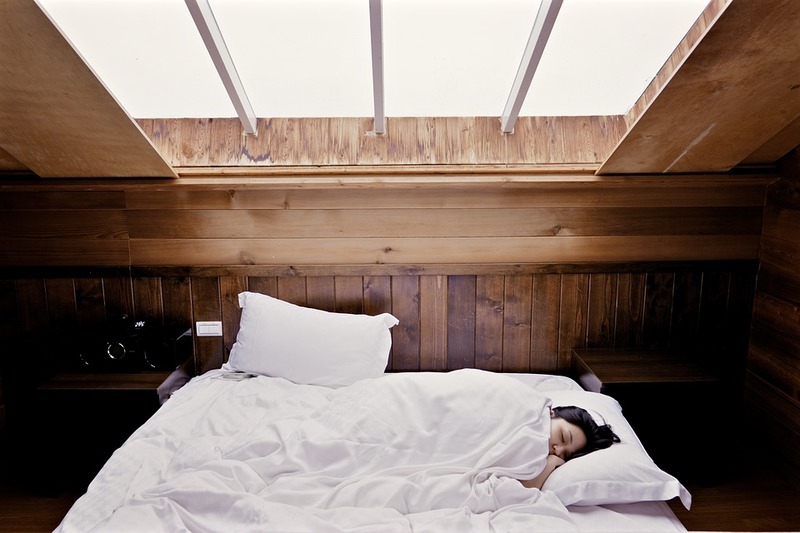 Perhaps the easiest of all the great ways to reduce wrinkles while you sleep is simply sleeping more. The right amount of sleep can go a long way in helping to promote healthier skin. Getting between 7 to 8 hours of solid rest each night allows the skin adequate time to rejuvenate. There is a good reason why many doctors tell their patients to get plenty of beauty sleep, it really can transform your appearance. These 5 ways to reduce wrinkles while you sleep help to slow down the hands of time of aging, and require a little change in your sleeping habits. Getting more quality sleep and resting on your back cost nothing but a commitment to helping improve your skin condition, they do require a little practice and persistence.